Sponsor of today's episode: Meredith Design Co.
Elora Inspired is a Christian children's brand offering apparel and their newest product... silicone scripture placemats! Everything they offer has scripture incorporated into it with hopes of pointing everyone to Christ. 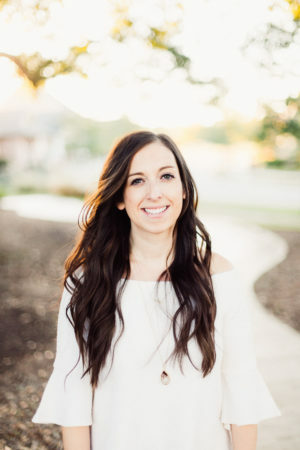 The business started out of Megan's desire to fill everyday tasks such as getting ready for the day and feeding littles with scripture an opportunity to encourage Christ centered conversations. Elora, which means “God is light,” is Megan’s daughter’s middle name and the inspiration behind Elora Inspired. I had Megan on episode 57 of the podcast if you would like to hear more about Megan’s incredible story. Use Code WREN for free shipping! 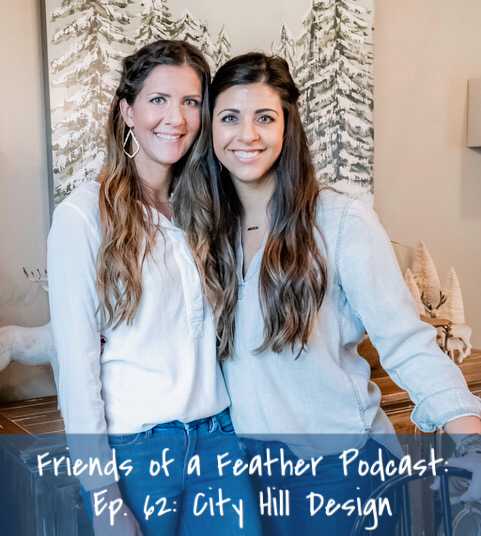 Five & One Designs is owned and operated by two moms- Amanda and Jodie-who are not only neighbors, but friends. Between the two of them they have six children, 5 girls and 1 boy (hence the name!) and their families love doing life together. They specialize in shirts featuring modern and unique artwork designed in-house by the two of them. Collaborating with Megan at June Bug Designs, they have a new 2018 Christmas hoodie that you will fall in love with! And, many more other designs you will love! I found them recently at a Christmas show and saw the verse that our family has chosen to focus on which is Joshua 1:9 which is Be strong and courageous. Do not be afraid. Do not be discouraged. For the Lord your God will be with you wherever you go “ It was hand scripted on a shirt with plum sleeves and I had to have it immediately. So much to choose from Kids sizes XS-XL to Adult XS-XXL Love the size ranges! All of the Five and One shirts are handcrafted in Arlington, TN, and can be found at Classic Trends in Arlington, or online via Instagram or Facebook. 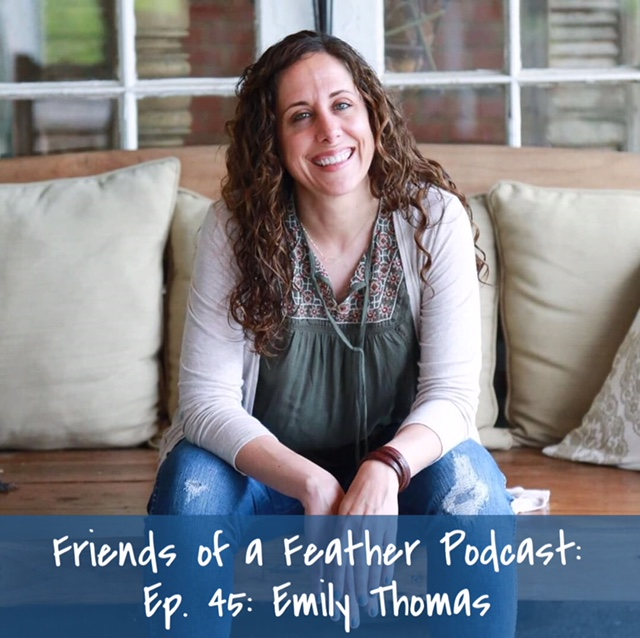 Mention the Friends of a Feather Podcast and they will offer a discount of 15% off! The goal of the company of Live Fashionable is to provide alternatives that gives women in other countries an opportunity to earn a living, empowering them to end the cycle of poverty that keeps them trapped. Armed with multiple studies illustrating how the employment of women benefits and strengthens the entire community, the ABLE team set out on a mission to end generational poverty, one job at a time. I love my Selam tote and wallet and its exactly what I had been wanting! ABLE’s Black Friday deal starts Monday, November 19th through Cyber Monday. Save 30% while empowering and protecting women with your purchase, plus free shipping on orders over $49. Use code ABLE30. At LimeLife, they empower people to achieve their goals and dreams and to inspire others to do the same. Their family-owned company was founded in 1952 to provide professional makeup to the stage and film industry. Now they are expanding our reach to help women everywhere look their best every day with our all natural skincare line and personalized makeup palettes. My friend Dondra came over one day last year to show me some of the products she loves from Limelife. And, I in turn fell in LOVE with them, too. I will tell you I don’t like to spend money on makeup and I wasn’t used to wearing makeup that much. But, in the last year I’ve noticed some sweet little dark circles who showed up in their darling little way and I knew I needed to up my makeup game. I like to be health conscious when I can and what I like about Limelife is that it is toxic free, and they have an all natural skincare line. I ordered the foundation, concealer, and priming spray to start out and have since ordered the powder as well. Let me tell you I have enjoyed this makeup so very much! I have received compliment after compliment on how good my makeup looks. I’m sure my momma Candy is so proud! She loves makeup! Also, if you want to hear Dondra’s story listen to Ep. 43 and 44 on the podcast! Poppy Parks is an online fashion forward boutique that was created on the platform that all women deserve to feel beautiful and confident in their own skin. Betsy carries beautiful, figure flattering clothing in sizes Small through 3XL along with super cute accessories including jewelry, scarves, hats, leggings, and more. I first met Betsy last year when she was in town hosting a show. I found so many clothing pieces that day and have since continued shopping with Betsy at her shows and online. Betsy is cute as a button and you will love the pieces she offers to her clients. 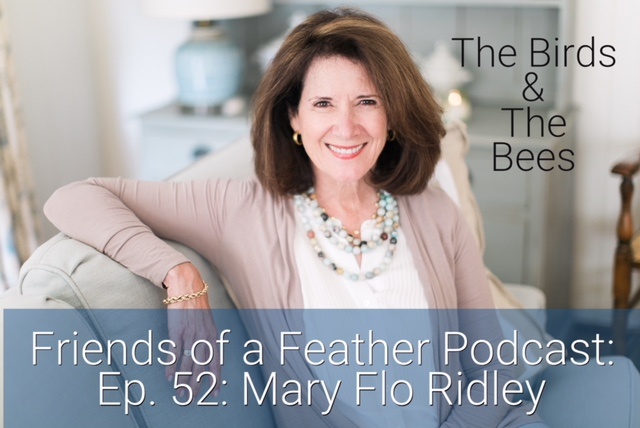 Betsy is offering the Friends of a Feather Podcast listeners a 25% off of one regular priced item. Join Engaging Motherhood's contributing author Holly Mackle and her sisterfriends as they laugh their way through the misadventures of authentic motherhood. Full of wit and charm, Mackle guides readers through a collection of hilarious and vulnerable tales written by moms who have seen it all. Laugh alongside a group of real mamas as they tell of the neverending joys and unpredictable perils of motherhood. Between diaper fiascos and singing potties, and whether mowing to escape reality or being mistaken as a pile of laundry--hilarity ensues. The extraordinary vulnerability found in Same Here, Sisterfriend will not only remind every mom that she's not alone, but also encourage her to look for grace in even the messiest moments. Sisterfriends keep each other sane, strong, and lighthearted, which is exactly what Holly Mackle's mom-community does: bring a little levity to the rough trenches of mamahood. So long as sisterfriends are only a text away, they can be sure of one thing--they will never have to face the mom life alone. 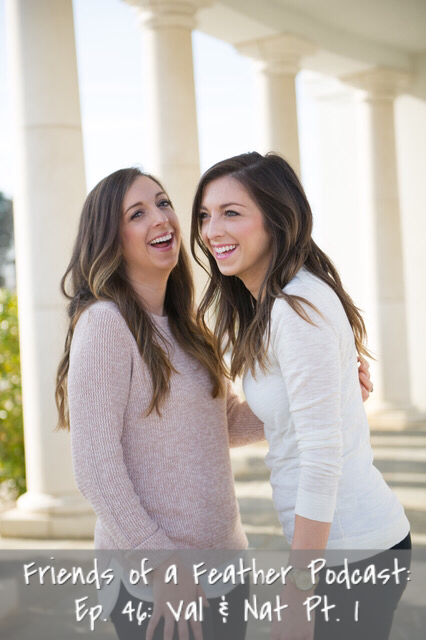 With a little commiseration and a lot of laughter, the ladies behind the creation of Same Here, Sisterfriend encourage moms everywhere to let go of the image of perfection and rest in knowing that their sisterfriends have their back. So it's time to link arms in sisterfriend solidarity, because we might as well laugh, mama. I literally read this book the fastest I’ve ever read a book! Tears running down my face as I was reading. You will love it! Also, want to know more of the curator of this book, Holly Mackle’s story? Check out Episode 38 to hear her story! Go get Same Here Sisterfriend HERE and type in FEATHER20 for 20% off! A brilliant artist, an Art teacher whom I adore, Anne has always had a talent of using different mediums, colors, and artistic strokes to bring art to life. I have worked with Anne and she is delightful, talented, and I love every piece she creates. You can contact her at Anne Smith Art on FB to order. Anne is having an Art Open House called, Oh What Fun! If you are in the local Memphis area, and mention this episode, you can get 20% off your order. Crew + Co was opened at the beginning of 2015 while Courtney was pregnant with her second son, Grey. She already had another shop focused mainly on calligraphy and lettering that was opened in 2014 after her first son was born. This shop is allowing her to work every day doing what I'm passionate about and she is so grateful for your support and business! Her family loves the Lord and desires to spread His Word in all that we do! Courtney and I started out as internet friends until Courtney broke the ice and we are now IRL friends! She is super sweet, super talented and I love her companys mission. Find Courtney’s scripture cards, Advent cards, Easter cards, and Give Thanks cards and now Men's scripture cards over at Crew + Co.
Courtney is offering a 15% discount to my listeners so go find some goodies in time for Christmas! Use the code: FRIENDSOFAFEATHER for this discount! Imperfections are opportunities to receive God's unending strength. No mother can live up to supermommy expectations. Thankfully, God isn't looking for perfection. He's calling on imperfect moms to be faithfully plugged into his superpowers. In Unsupermommy, Maggie delves into expectations every new mom faces--for her baby, personal appearance, housekeeping, marriage, parenting, and more. She shares that by having three babies in three years God used the trenches of motherhood to transform her life, releasing her from the pressure of perfection. 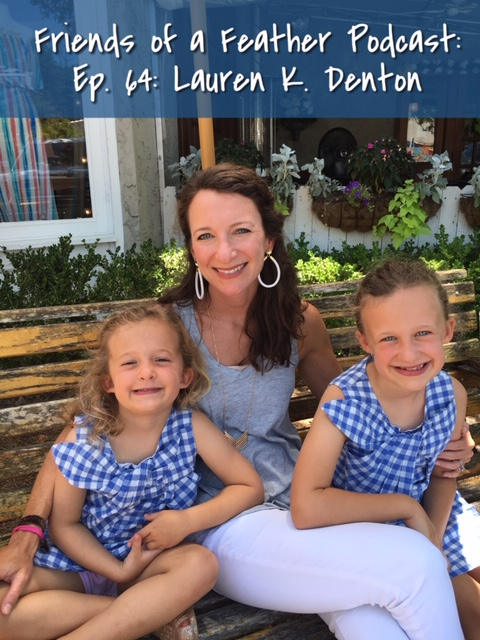 Her desire is to see discouraged moms freed from expectations prevalent in society, social media, blogs, and even our own hearts. 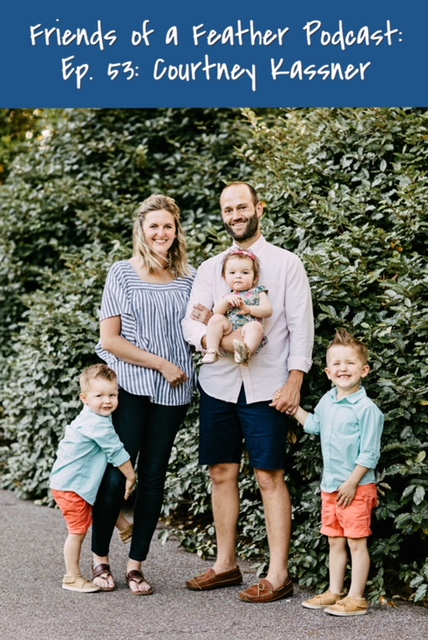 Maggie's candid motherhood story will inspire you to embrace your own imperfection as a means to receiving God's grace. You don't need to be a supermommy when you rely on a superpowered God. This book has meant the world to me. I recently read it and it has made such a difference in how I view my role as a mom to my son, relating to my husband, and so encouraging to not have to rely on my own strength! Go order her book over on Amazon, and it will change your perspective on everything! And, ya’ll stay tuned bc Maggie coming on the podcast to chat with me to share her story in December! Can’t wait! 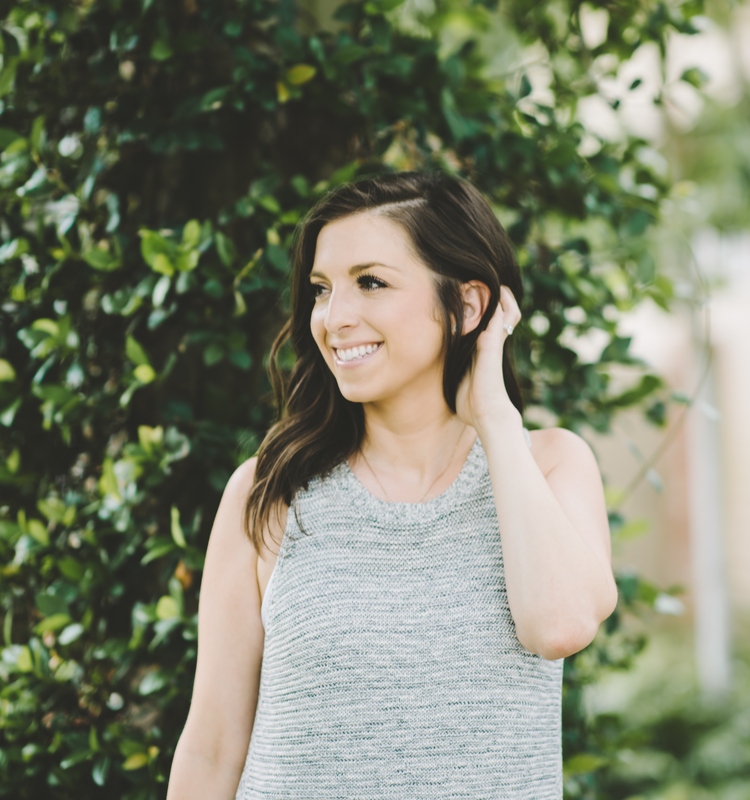 Val Marie Paper all started when Valarie Woerner’s fears during pregnancy had her searching for a prayer journal where she could organize her thoughts and every symptom she could possibly worry about. (She’s a self-diagnosed hypochondriac) When she couldn’t find what she was looking for, she used that old journalism degree and skills designing wedding invitations to create her own. In the fall of 2013, about 2 weeks before her first daughter was born, she started selling our 6-month prayer journal. It exploded. It turns out she wasn’t the only one whose prayer time many days consisted of staring at a blank wall running through her to-do list instead of actually praying. They've had them used by famous bachelorettes, Canadian style mavens, and authors with books you’ve probably got on your shelf. Why? Because none of us are immune to distractions in our prayer life and we all need a little help to focus on what matters most to us! 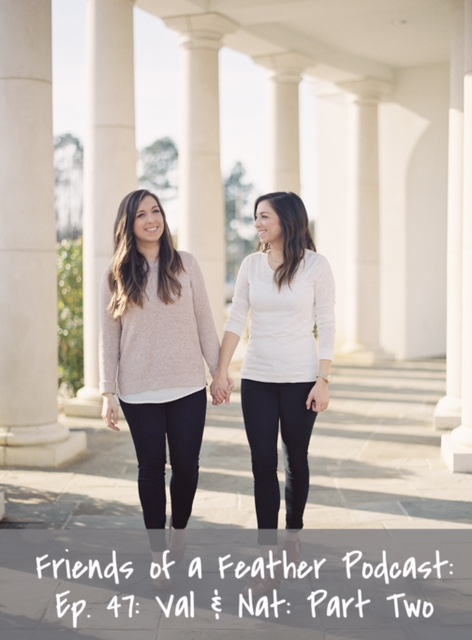 Our mission is to create practical tools and content that equip women to cut through the noise of everyday life and find fullness of life in the presence of the Lord. So excited and grateful to tell you about this company Valarie began 5 years ago. 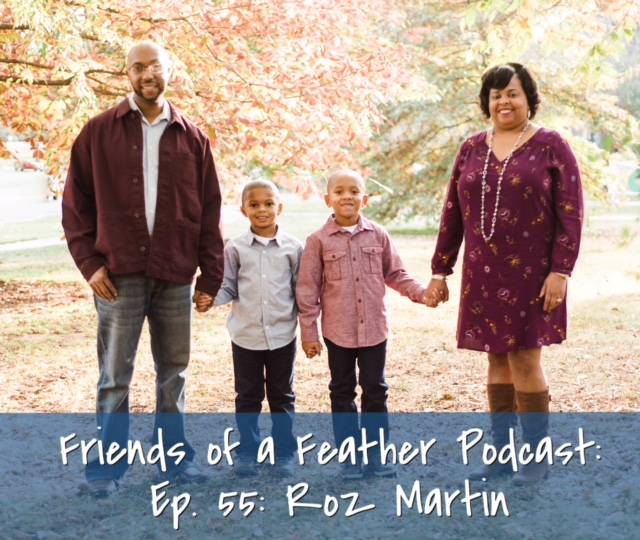 Valmarie Paper has graciously given my Friends of a Feather listeners the code FRIENDS3 for 20% off when they purchase 3 or more products (only excluding their Yearly Prayer Journal). This is great for multiple gifts because it brings our $15 journals down to $12! I have used the Fresh Start prayer journal and devotional, I am currently using the 6 month prayer journal, and I’ve already sent the link to my husband for the yearly prayer journal for Christmas! 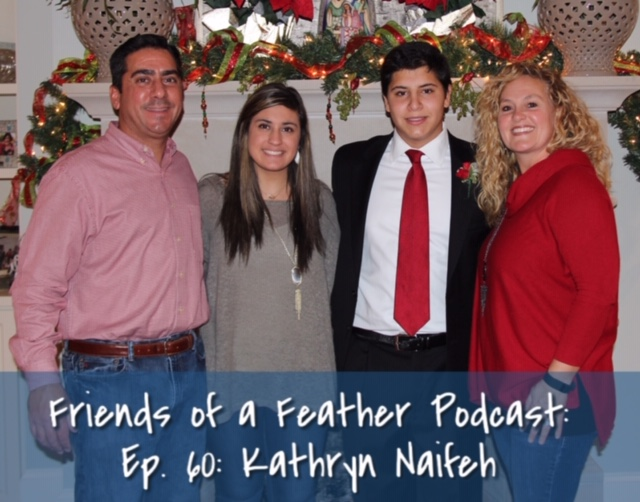 At the friends of a Feather Podcast, stories are shared, some of who you may know, some you may know only on the internet! I am grateful that I get to chat with women who have a story to tell, a dream that they are pursuing or a passion to share. Years ago as I was walking through the pain of infertility, a friend gave me a handcrafted ceramic bird. The simple word, Hope was hand stamped on the side of it. The bird now hangs on a lamp in my office. It has been a very meaningful gift to me, a sign of hope, a sign that like my friends fingerprints on the clay, God’s fingerprints were on my life. I had hope. Rom. 15:13 says, “ May the God of HOPE fill you with all joy and peace as you trust in him, so that you may overflow with hope by the power of the Holy Spirit.” When walking through my difficult heart-yearning time, I needed to trust and hope and I found that. 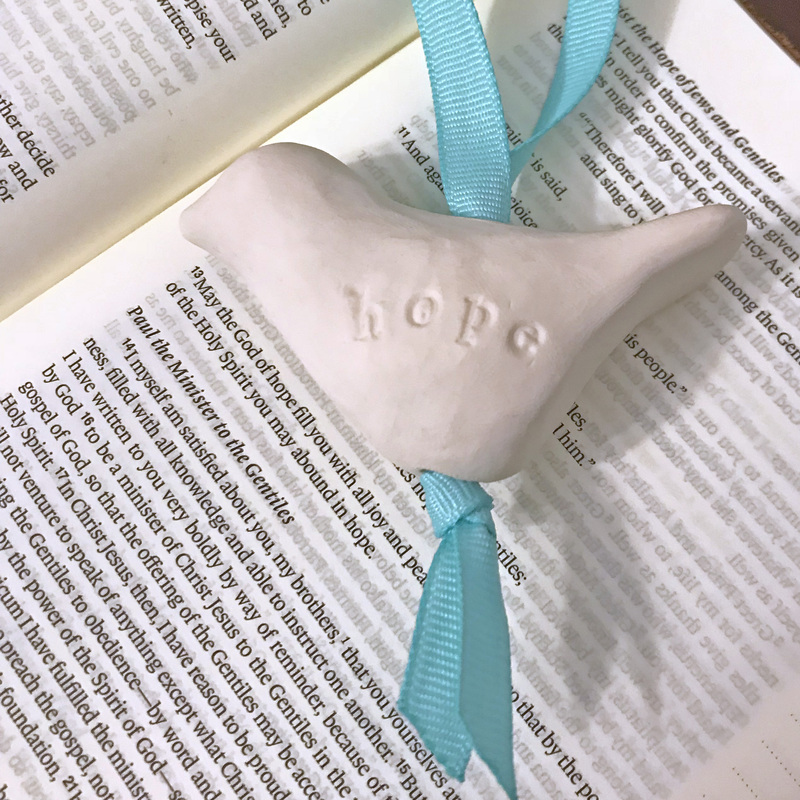 Encouragement from friends like my friend, Stacey and this little bird she handcrafted for me was a constant visual reminder of the HOPE that Jesus gives, that He was with me in the midst of the trial. I am pleased to announce that we have partnered with Stacey who is Meredith Design Co to create a one of a kind HOPE bird inspired by the original one she made me seven years ago. This is an exclusive for Friends of a Feather. Each one is hand made and hand stamped with the word HOPE by Stacey and only available through our podcast. We could not be any more happy with this product and that it will be provided to you, the Friends of a Feather listeners. Consider giving a friend going through a hard time this gift of HOPE. The release date for the limited edition Friends of a Feather HOPE bird is today. I would love for you to go check it out at HOPE bird. They are available for a limited time only and will be shipped the week of December 3rd. Our prayer is that the Hope Bird will become a visual reminder that there is hope in the Lord and that His fingerprints are on your story. Each bird is lovingly handmade and unique... just like you. Preorders ended Nov. 24th. Thank you! 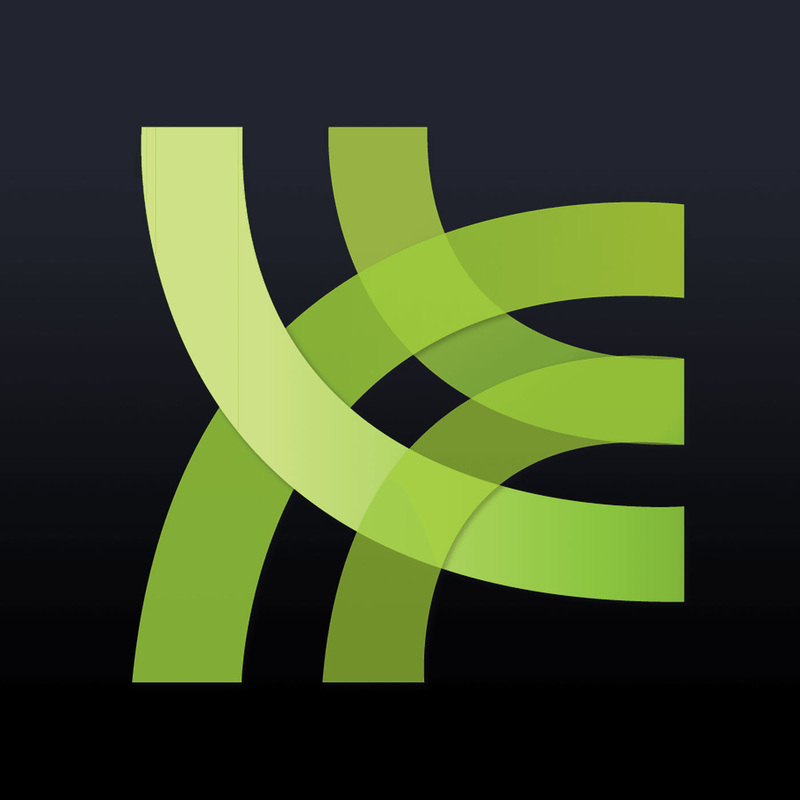 Want to connect with Wren? I would love to connect with you over on Instagram! Come over and say hi! The Hope Bird was originally given as a gift to Wren in 2011. Wren’s friend, Stacey Meredith, handmade the gift hoping it would provide encouragement during a difficult season. This gift became a daily reminder of hope for Wren. 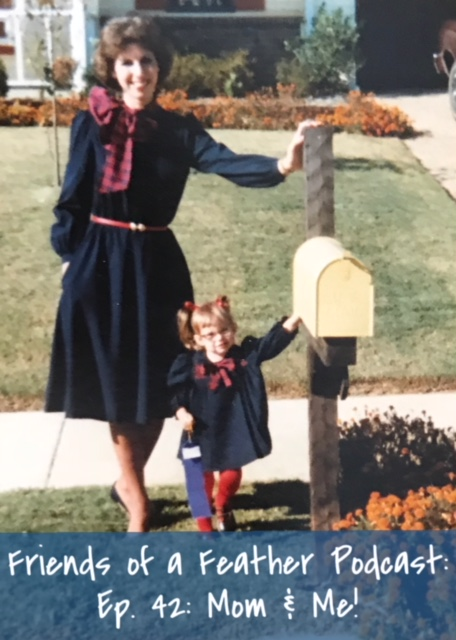 Its episode 64 and we talk about how Laurens love for reading and writing came at an early age, and how she realized her calling was to write. She is a thoroughly gifted writer and I was thrilled to be able to chat with her. She’s a big deal and I’m thankful she was able to sit down with me and chat. We talk about how she manages her writing and being a mother to her two young girls. I love how Laurens stories always have hope and redemption that shines through and I love that. We talk about what Lauren does when she gets stuck and cannot write any more. I love how she brings everyday moments into the light when writing a column for Homewoods newspaper, The Homewood Star. You will think you are chatting with a friend. Lauren is warm, inviting, and shares her story with us today and Im so grateful. You will love her and will want to read her books. Are you enjoying the podcast? I would love if you could write a short one line review over on Itunes! It would help out the podcast so much! Would love to get to my goal by the first of the year. Could you help with that? Thank you for coming back each week and listening to the conversation with friends. See you over on Instagram. Tune in next week when we feature our gift giving episode! 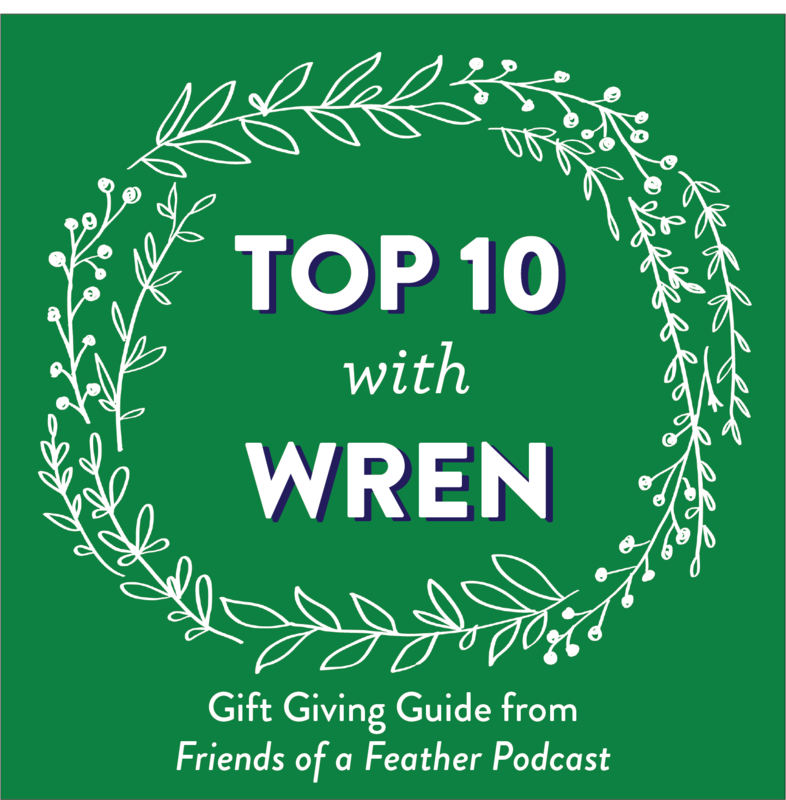 It’s counting down the Top 10 with Wren! Many new things coming to you from the podcast and I’m so grateful for you, my listeners, my friends. Remember, we are all friends of a Feather let’s stick together! Have a great week and I’ll see ya next time. Picture this: teenage girl dealing with a loss of a family member through suicide, alcohol, drugs, husband leaving for his contracting job in Afghanistan six days after her baby boy was born, moving cities many times, husband addicted to pain medication, filing for divorce, separating from her husband for ten months, life spiraling out of control as she looked for love, for acceptance, for care. 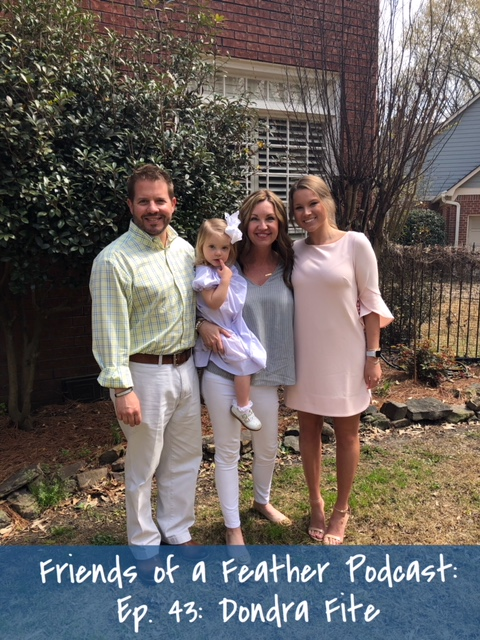 Through all of this Brandy realized her need for Jesus and Jesus transformed her life and she, her husband, her family, and her marriage have been forever changed. Hear my friend Brandy’s incredible story today and share with a friend! Today's episode is with my friend, Ashleigh. Ashleigh is a sweet in real life friend, wife to Matt, mother to four children and a part time pharmacist! Ashleigh's story begins when her husband, Matt, went to China on a work trip, saw the poverty in the area, and was burdened for the children there. He came home from that trip and talked with Ashleigh about adopting a child from China! In this episode hear the details of how God's timing was 7 1/2 years later and they would see their baby girl for the first time and the joy that she has brought to their family. Hear Ashleigh's advice for someone walking that road today! Feel free to share this episode with a friend who needs encouragement journeying through the adoption process. On today's episode, I enjoyed chatting with my new friend, Megan! 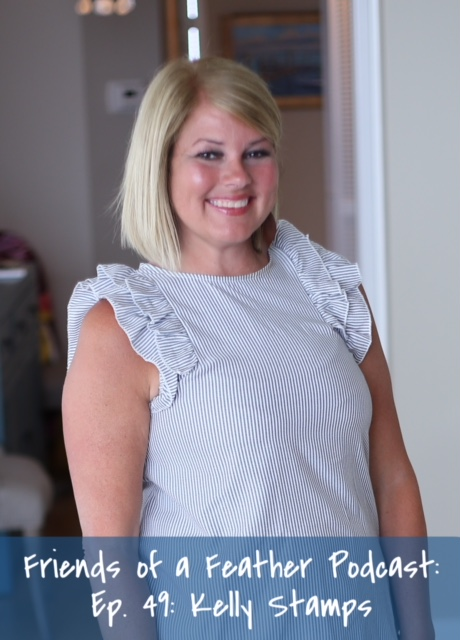 Megan is wife, mom to three sweet children, and shop owner of Elora Inspired! What I love about Megan is her strong desire to pour the love of Jesus into everyone around her! She pours into her husband, her children, those she meets in real life and those on her Instagram page! Megan and I talk about the family vacation she came back from when she knew her marriage was over. However, her husband came home with a different set of feelings. You will hear about the incredible change that Jesus made in their lives, their marriage, and in how they raise their children. Such an encouraging episode to hear how God's power intervened in Megan's life and why God led her to start her company, Elora Inspired!! Love the podcast? Click HERE to leave a 5 star rating and review! Today, my guest is Leah Simpson! 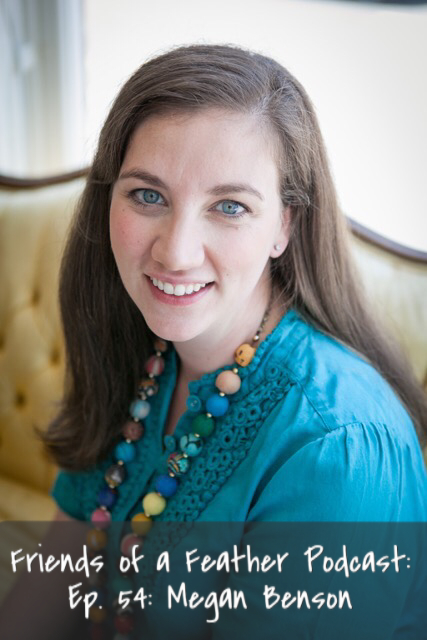 Leah is a wife, mother, author, teacher, pioneer of bringing Classical Conversations to the Memphis area, homeschool mom, future Pilot and much more!! I love her company called Nurturing My Nest and that the goal of it is to strengthen families. I really enjoyed hearing about the books Leah is reading and the ones she is in the process of writing!! Don’t miss this episode!! Link in profile. 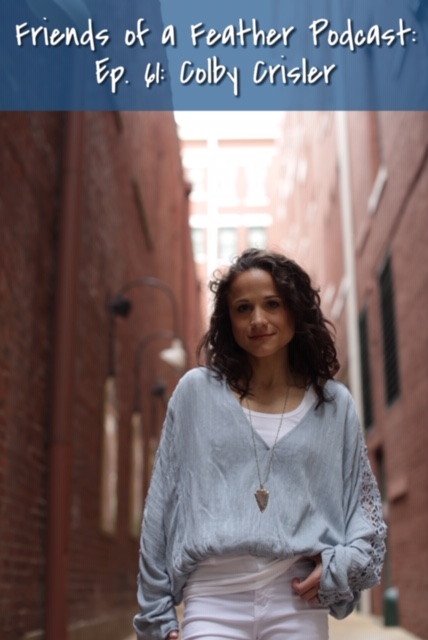 CONNECT with Leah on her web site! Today my guest is my friend, Tracey. I met Tracey a few months ago standing in the hallway into my moms office at work. She is honest, lovable, sweet, and funny. 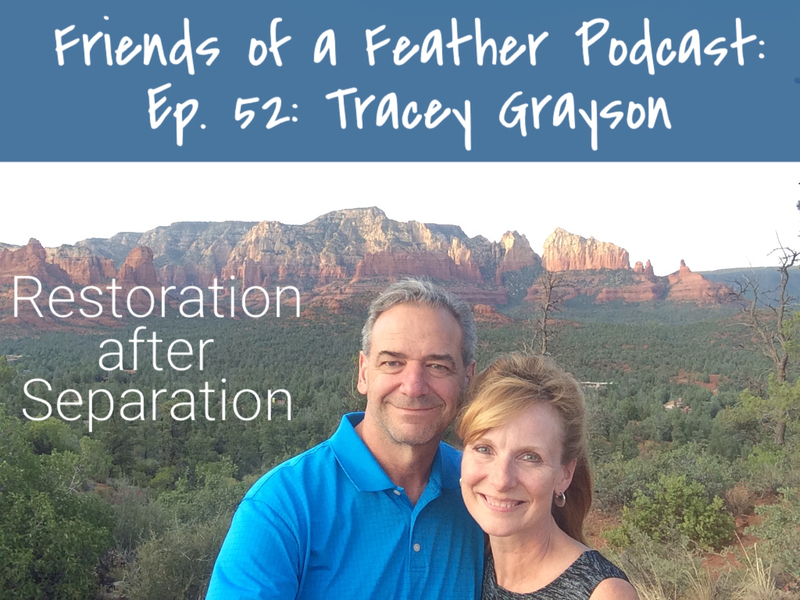 On this episode we talk about Tracey’s story of feeling betrayed by and lied to by her husband, Dwight while he was secretly hiding his addiction to gambling. You will hear the ups and downs of their marriage relationship that eventually led to their separation. You will hear about the moment that started the healing in their marriage. And, when Tracey fell back in love with him and started to trust him again. Ya’ll. Tracey’s and Dwight’s story has the gospel weaved all through it. This story could have ended so much differently, but God brought them both to their knees and their marriage was saved. Be encouraged through this amazing story of redemption, restoration, and love again. edited to add: If you are reading this and no matter how hard you tried or prayed for it, your story did not end up in this way, know that you are loved💓It is about choices of both of the people in the relationship. Today's episode is special because it's my 50th episode!!! 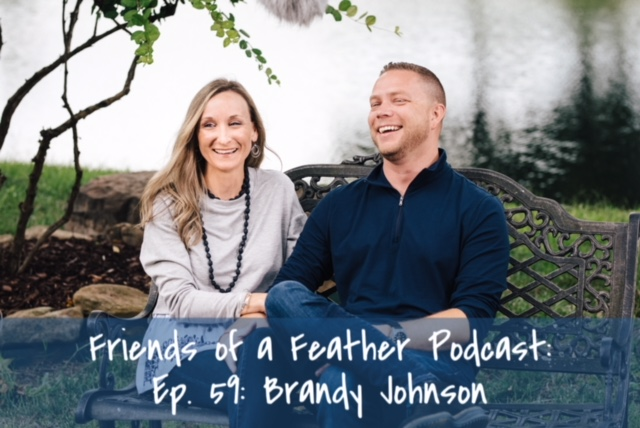 To celebrate this milestone, I brought my husband on the podcast to share our journey of infertility. 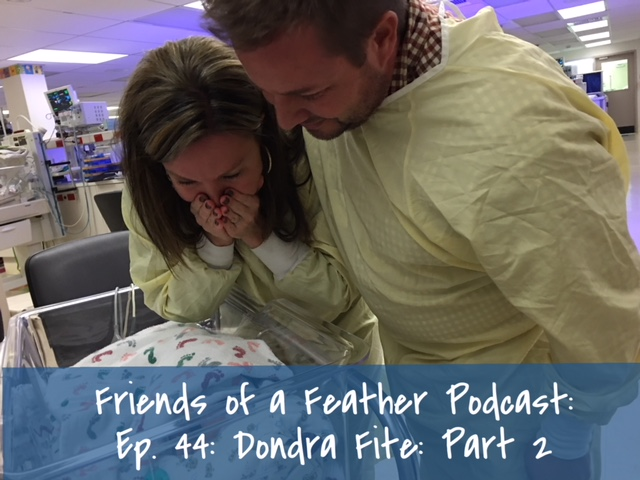 We chat about how we were naive thinking we would get pregnant easily according to "our" plans, the sweet moment our friends gave us, and what it was like realizing giving birth may not happen for us. I may or may not have teared up once!!! We also chat about how I struggled but learned how to close my mouth and pray during a time when I needed to submit to my husband. God changed our circumstances, but not in our timing. God had a plan! You will get to hear what Jim is eating, reading, and loving these days! Great episode! We had a blast!! Link in profile or subscribe in iTunes! Today my guest is Kelly Stamps. You may know her from the blogging world at kellyskornerblog.com or as @mrskellystamps over on Instagram! I have read Kelly’s blog for years and it was super fun to catch up with her live over Skype! 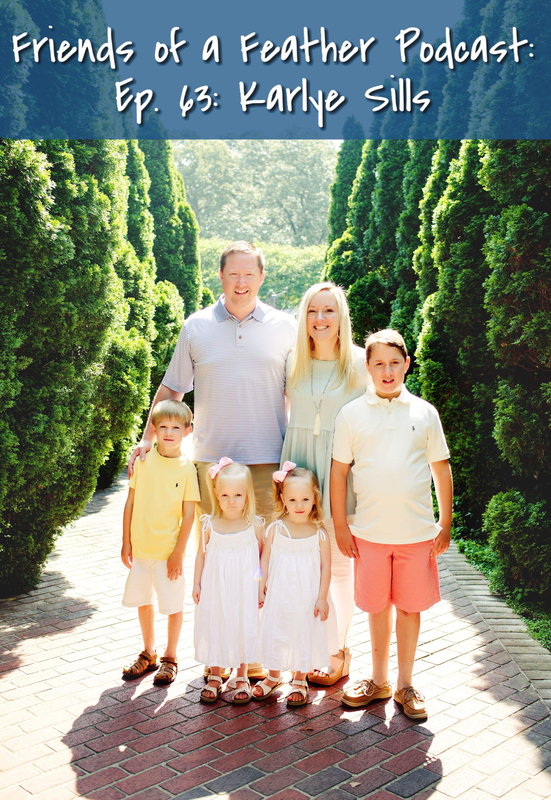 •the scariest day of Kelly’s life when Harper, her baby, was born not breathing. •a great book she is reading that I’m a big fan of📗! Kelly is the real deal and you will love her!! 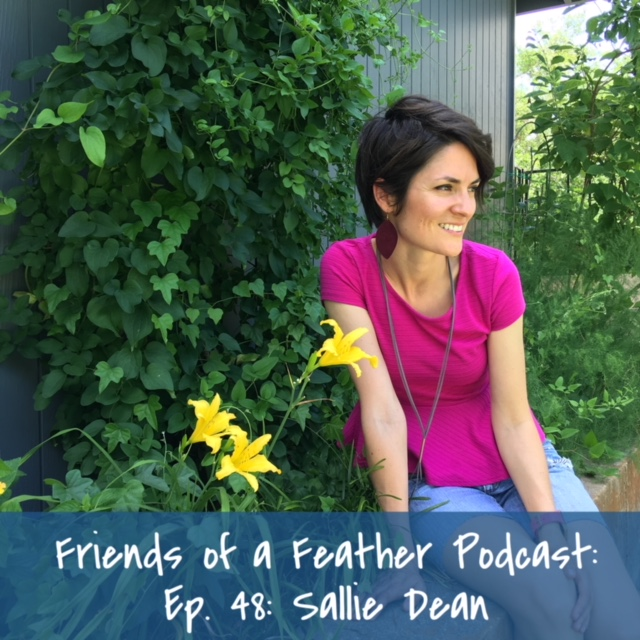 Link is in profile or find the Friends of a Feather Podcast on ITunes to subscribe!